5* x 7 new beautiful creations. Happy sunday, Imani !!! Your designs are so pretty. THANK YOU wholeheartedly,dear IMANI !! 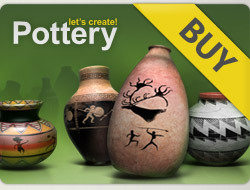 5***** for all your lovely pots and comment to each pot !! GOOD LUCK DEAR IMANI !!!! Wish you all the best,and a very happy Sunday with your loved ones !! 5 × 5 ☆☆☆☆☆ Прекрасні свіжі твори ! 5* x 2 new beautiful creations. Happy sunday, Imani !!! 5* x 3 new beautiful creations. Happy weekend, Imani !!! Імані, ласкаво просимо до гри ! 5* x 3 new beautiful creations. Happy new week, Imani !! !